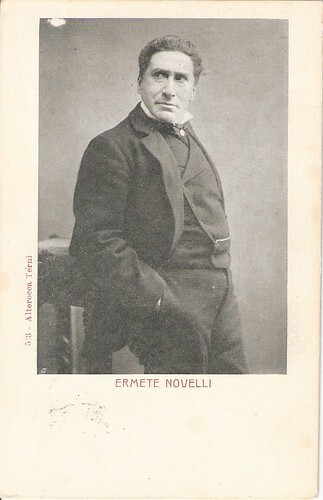 Ermete Novelli (1851 - 1919) was a legendary monstre sacré of the Italian theatre. When the famous actor and playwright appeared in films of the Film d'Arte Italiana, the press condemned his stagey performances on screen. But with later films he got even. Italian postcard by Alterocca, Terni, no. 513. Virgilio Alterocca (1853 - 1910) founded the first company for illustrated and photographic cards in Italy. He already founded a typographic company in 1877 working for newspapers and producing posters, but around 1896, thanks to modernising techniques in phototypography from Germany and Switzerland, he was able to make photographic cards a booming business. Below another photo of Alterocca. Ermete Novelli was born in 1851 in Lucca, Tuscany. His father was a prompter and he came from a noble and ancient family from Bertinoro. Already at an early age, in 1866, he started to act on stage and soon he became one of the 'monstres sacrés' of the Italian stage of the 1870's and 1880's. In 1885 he founded his own company and had triumphs in Paris in 1898 and 1902. He also performed in New York in 1907 as Antony Novelli. Inspired by the Comédie Française, he founded in 1900 his own 'teatro stabile', Casa Goldoni, at the Teatro Valle in Rome. In the 1910's he lead the company Fert, to which such actors as Lyda Borelli were attached. Together they did a.o. Sem Benelli's play Le nozze dei centauri (1915) at the Teatro Manzoni in Milan and elsewhere. On his own or in collaboration, Novelli also wrote several comedies and monologues. Rimini has a Teatro Ermete Novelli and Italy knows since 2002 the Premio Ermete Novelli for best stage actor. 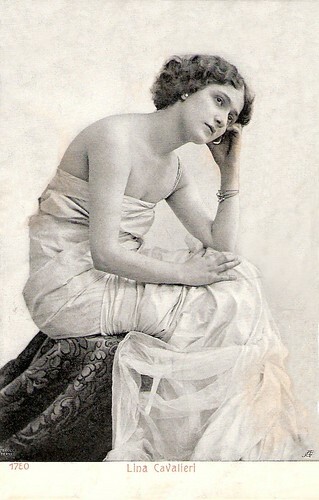 Italian soprano Lina Cavalieri. Italian postcard by Alterocca, Terni, no. 1750. 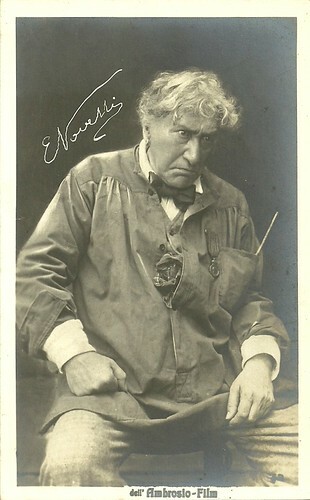 Just a few years after the film d'art phenomenon had spread in France, Ermete Novelli started to act in film too, from Shakespearian costume dramas as Re Lear/King Lear (1910, Gerolamo Lo Savio) and Il Mercante di Venezia/The Merchant of Venice (1910, Gerolamo Lo Savio) to La Morte Civile/The civil death (1910, Gerolamo Lo Savio), based on the Italian play by Paolo Giacometti. These short, silent films were directed by Gerolamo Lo Savio for the Film d'Arte Italiana, a subsidiary of Pathé Frères. 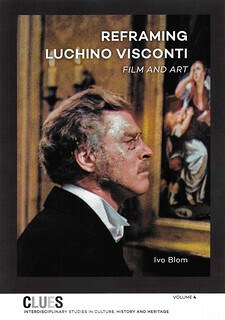 All the films were shot in Rimini, where Novelli had his villa, and partly in Venice (The Merchant of Venice). 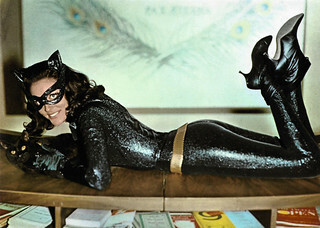 There were high expectations about seeing Novelli on screen, but the film press condemned the films because of Novelli's stagelike performance. He neglected the new medium and did not take it all too seriously. Years later, another star of the Italian stage, Eleonora Duse, was more conscient of cinema as a different medium. In the films by Lo Savio, a new young actress performed opposite Novelli: Francesca Bertini. Though she had had some stage training, she was a real film actress and soon she would become one of the divas of the Italian cinema A greater contrast was unimaginable. A few years later, Ermete Novelli tried his luck again. He returned to the screen, now for production company Ambrosio. 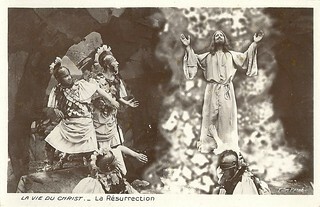 The films were based on French pochades which Novelli had successfully performed on stage: Michele Perrin/Michael Perrine (1913, Eleuterio Rodolfi) and La gerla di Papa Martin/Honour Thy Father (1914, Eleuterio Rodolfi), both opposite Gigetta Morano, the regular Ambrosio comedienne. This time, the press was much more favorable. In 1915, Novelli acted in - unsuccessful and hardly noticed - films by his son, writer-director Enrico Novelli: the comedy Fiorenza mia!/My Florence! and the drama Il più grande amore/The Greatest Love. They were followed by the war propaganda film Per la Patria!/For the Motherland! (1915, Ugo Falena). Towards the end of the war Novelli played in two remarkable films, Automartirio/Selfmartyrdom (1917, Ivo Illuminati) and La morte che assolve/The death that performs (1918, Alberto Carlo Lolli), both starring the Milanese star Elettra Raggio, who was also the producer of these two films. While of the latter film a copy has been found and restored - and thus we can admire both Novelli and Raggio as the father & daughter of the story - of the former only the beautiful posters exist. 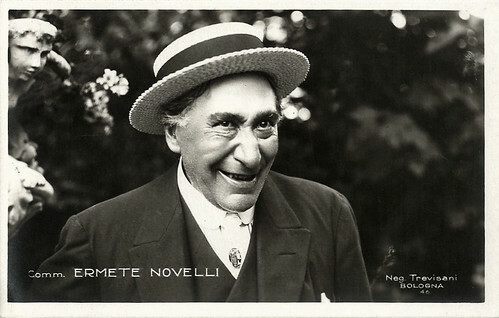 In 1919, Ermete Novelli died in Naples, Italy (according to Wikipedia) or Paris, France (according to IMDb).Wikipedia adds that he was "survived by at least one child, his son, Enrico 'Yambo' Novelli." Italian postcard by Ed. Vettori, Bologna, no. 46. Photo: Trevisani, Bologna. Sources: Wikipedia, Del Teatro (Italian), and IMDb.